“Symphony Vue” – Ensembles – Download – Symphony. 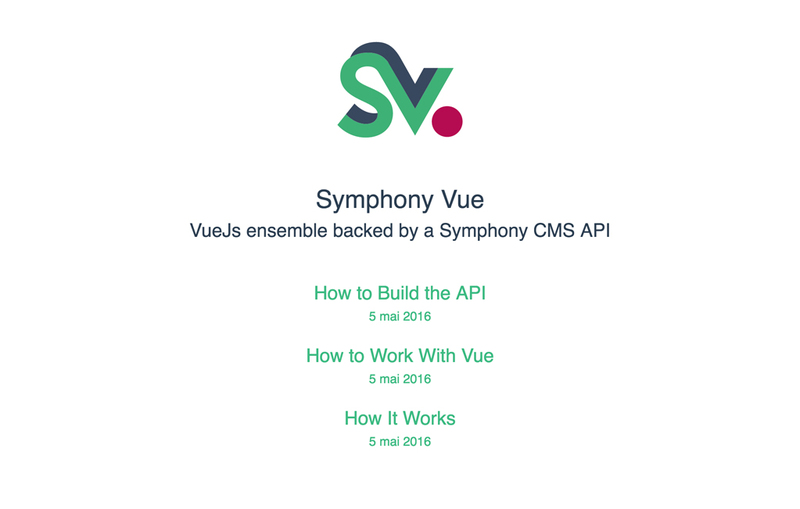 How to configure Symphony to output only a Json API, consummed in by a VueJs webapp in front end. Visit the demo to see how it works.